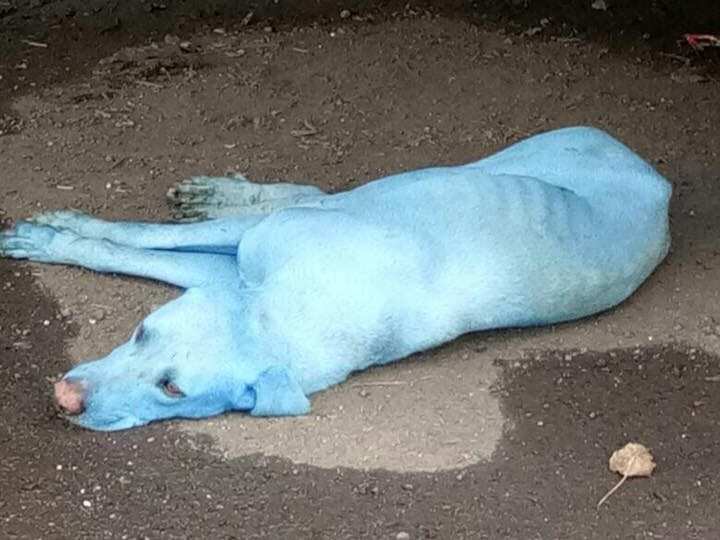 Why Are Dogs In One Of Mumbai’s Districts Turning Blue? Some animals have quite peculiar colors. Flamingos are pink and Orangutans are orange, for example. But have you ever seen blue dogs before? Well, look no further. 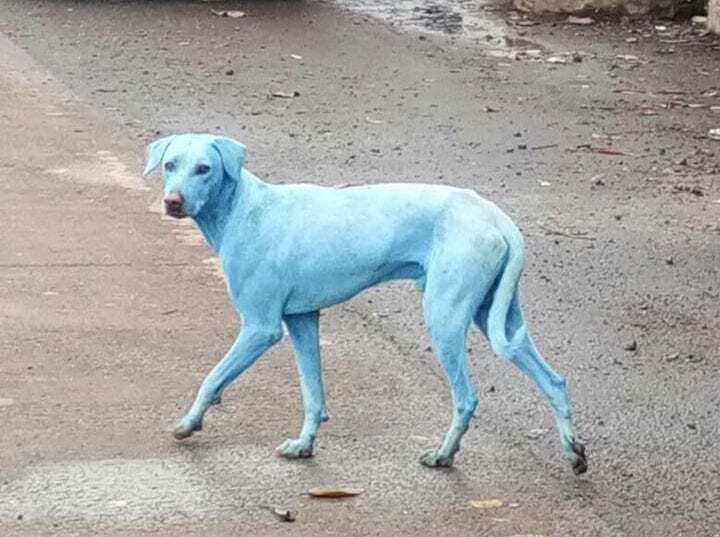 A Mumbai local posted photos on social media showing hounds that look like they could have hailed from a community of Smurfs. However, this is no laughing matter. These dogs belong to no community, as they are strays from Navi Mumbai’s Taloja Industrial Area in India. Many are speculating as to why the dogs have sky blue coats. Maybe it is a local religious custom. Or maybe it’s a miracle. Well, the truth is that neither of these ideas provide the correct answer. According to a variety of reports, the radical change in color is due to a severe pollutant mix that has been released into the Kasadi river, just a stone’s throw away from Taloja. Arati Chauhan, the head of Navi Mumbai Animal Protection Cell may have more evidence to back up this theory. She believes that factories in the area are discharging waste into nearby streams. These factories manufacture coloring dye. As a result, stray dogs that depend on the streams in order to stay hydrated are drinking the contaminated water. Over time, the chemicals from the waste are taking effect. Since then, Ms Chauhan issued a formal complaint to the MPCB, the Maharashtra Pollution Control Board. She said these factories should be held accountable for their reckless use of waste and and for neglecting the natural surroundings as a result. To make matters even worse, reports are suggesting that many dogs are finding their way inside the factories, further exposing them to dangerous chemicals. Also, it is not just the bizarre change in color that is a side effect of the pollution. After undergoing treatment and tests, some dogs are also suffering from eye infections as a result of the contamination. The factories are taking extra precautions, such as installing blockades to prevent dogs from breaking in. However, Chauhan believes that this isn’t enough and that the factories need to fully reassess how they deal with their toxic waste. 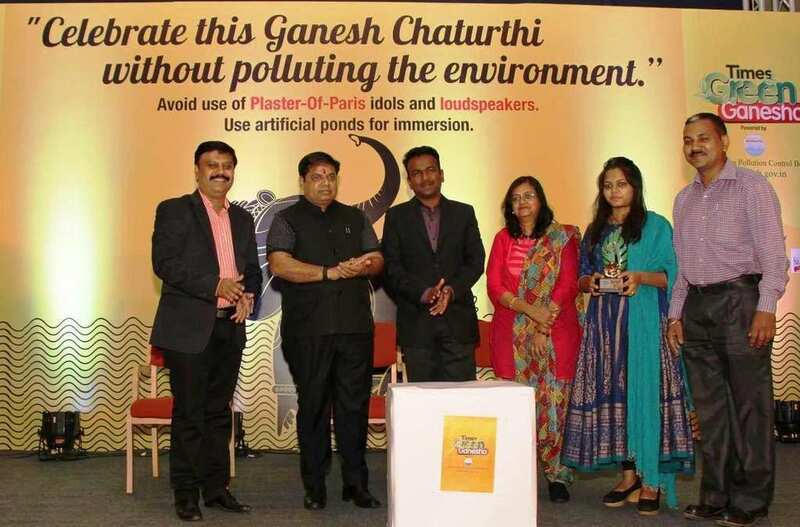 “Pollutants from Taloja Industrial area not only ruining the water bodies affecting humans there but also affecting animals, birds, reptiles,” she said.